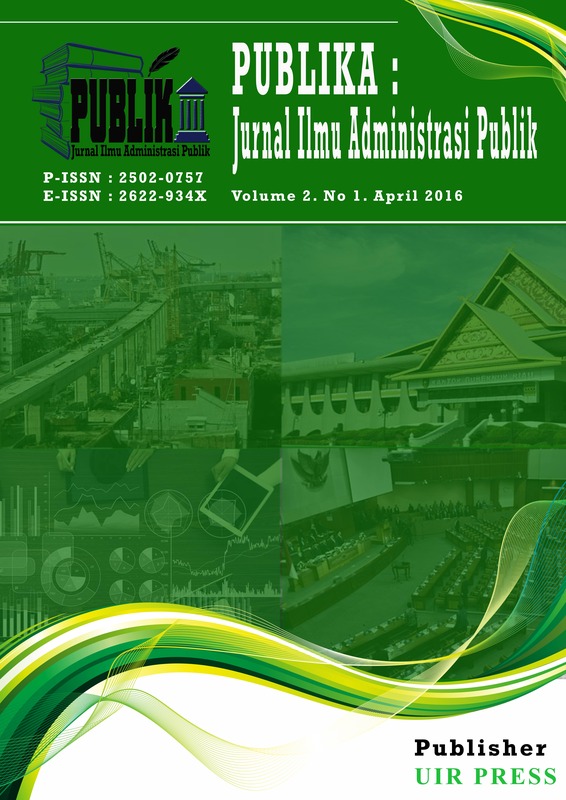 The purpose of this study is to identify and analyze the role of Kepulauan Meranti Regency in building participation through public aspirations implementation pattern. This research was conducted with qualitative methods, the data collection is done by interviews and field observations. The interview process conducted by the informant is set, then the data were analyzed with descriptive qualitative. The research found that the role of parliaments in building a people's aspirations conducted through formal and informal, basically has been running pretty well. This means that the efforts of local legislators in building civic participation by absorbing aspirations articulated already running, either through formal activities such as recess, working visits or spot checks or through informal activities such as blusukkan done by the members of the board. ADIANTO, Adianto; AS'ARI, Hasim. PERAN DPRD DALAM MEMBANGUN PARTISIPASI MASYARAKAT DI KABUPATEN KEPULAUAN MERANTI. PUBLIKA, [S.l. ], v. 2, n. 1, p. 30-47, july 2018. ISSN 2502-0757. Available at: <http://journal.uir.ac.id/index.php/JIAP/article/view/1937>. Date accessed: 24 apr. 2019.